Polaroid has come up with a brand new idea which is pretty cool. Their new product Socialmatic is a camera which looks quite similar to Instagram and yes, its not just a camera, taking the tradition from Samsung, they have powered it with Android and it has a 4.5 inch touch screen for easy navigation just like you use an Android smartphone. On the front, it has a 13 MP shooter and they’ve also included a 2 MP camera on the rear in case you want to take a selfshot. It has built in wi-fi so that you never need to find any other device to transfer the pictures and upload it on your favorite social networks. The best part of the device is that it features a built in printer which doesn’t even require ink. Printing pictures is quick and easy using Polaroid’s 2 X 3 inch ink-free paper which they call Zero Ink (ZINK) paper. The images printed by the Socialmatic are smudge-proof & water and tear resistant. Gone the days when you will take images of friends and family and email them. Just point, shoot and share. 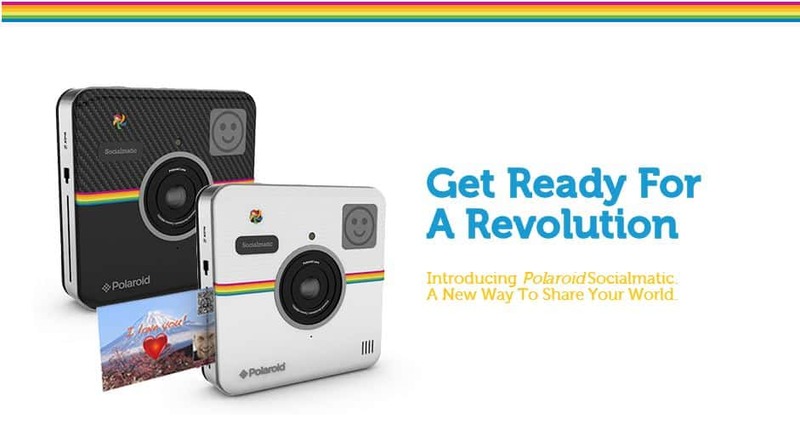 Polaroid has not made any announcement regarding the price of this ultracool user friendly gadget, but it will be shipped by the fall of this year. So, gadgetfreakz, you guys have to wait a little.